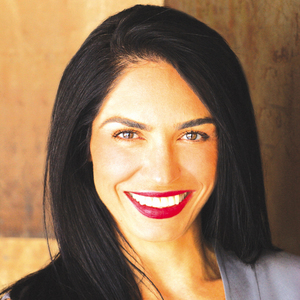 An outstanding real estate professional known for her expertise, work ethic and high degree of service, Vida Ash represents buyers and sellers throughout the WestSide. Her depth of knowledge over a wide area is unsurpassed, with her referral-based business taking her to every neighborhood and price range. Vida's successful transactions have ranged from Malibu to the Hollywood Hills including Santa Monica, Brentwood, Beverly Hills, Bel Air, West Los Angeles, Palms/Mar Vista, Westwood, Rancho Park, Culver City, Pacific Palisades and many other neighborhoods. The common denominators in these transactions are the clients referred to Vida by others who have benefited from her expertise. Vida specializes in standard, short sales and probate sales, providing a superior level of dedication and professionalism that are consistent, whether it's a $300,000 condominium or a mega-million dollar estate property. Clients appreciate Vida's expert advice, patience, organization and thoughtful, strategic approach to the real estate process. As a former mortgage consultant and business manager for many entertainment clients, her professional demeanor, accessibility and problem-solving skills are second to none. "The secret to successful selling is that there is no secret . . . it takes a lot of diligent professional work," Vida says. "You have to be accessible to clients. You have to be knowledgeable and you have to be willing to do what it takes to get the job done." Her many assets and positive attitude contribute to a smooth, expeditious and successful experience for all participants, including both homeowners and investors. "To maintain my success I provide outstanding results for every one of my clients. That is how I continue to earn their business, their trust and that of their friends and family," she says. Vida is a graduate of Whittier College. An outdoor enthusiast, she excels in marathon and ultra marathon running, back packing through the mountains and many other sports. She brings a similar competitive enthusiasm to her real estate career. Vida is active in the community and supports many autism-related charities, due to her niece being autistic.